10 years ago you might have a handful of 15 year olds in the US that would send it full speed around a corner inches behind their competitor. Not the case anymore and it made me so excited to see it! What you get when you take 62 of the country’s best 14 and 15 year olds and get them all together for a week of training at Paul Smiths College in upstate NY? You get one of the most epic, exhausting, non-stop fun training camps I’ve ever attended! This was my first time coaching at a U16 camp and I couldn’t have walked away more stoked and inspired by the next generation of USA Juniors. Can you imagine the mind-blowing logistics of keeping 62 kids of that age focused and in one piece while everyone has wheels attached to their feet? The thought gave me nightmares until we actually settled into some training and I realized these kids were here to learn, here to train, and already imagining themselves as one-day Olympians. As soon as we started the first day of training I realized my goals for the camp were exactly the same as the athletes. I was here to train, just like with the REG and NTG camps I was committed to doing every workout along side the campers including roller-skis and uphill run tests. A goal of learning new things was also at the top of the list especially since the U-16 camp was lead by SVSEF coach Rick Kapala. Rick has been coaching youngsters for a long time so I was committed to learning as much as I could from him. As you might imagine with that many active, energy-filled kids one of our coaching strategies was to keep them moving as much as possible. One of my jobs during the camp was to lead morning exercises every day at 7am before breakfast. The kids took this is stride however and were ready to train every day even on those damp rainy New England mornings. I didn’t want the morning routines to be boring or redundant so I took this opportunity to introduce a technique approach I have been working on to the kids that revolves around the 3 pillars of ski technique. Stable, Stacked, and Dynamic. This approach combines teaching running mechanics that can transfer beautifully into a stable classic and skating body position so the kids are able to move quickly and precisely through their technique movements. In my opinion the morning is the best time to teach these motions when the kids are fresh and the idea builds off of the morning power routines I learned from USSA’s Tschana Schiller. Once I had the kids moving with the proper mechanics each morning we would work through some classic and skate bounding and light plyometrics. The difference between day 1 and day 6 was astounding. Even just from working on mechanics for 20 minutes each morning the kids were moving and jumping with much better athleticism and dynamic motion something that will have a lasting effect on their ski technique. Hands down the most memorable workout of the camp for me was the sprint time trial day at the roller-ski loop in Lake Placid. 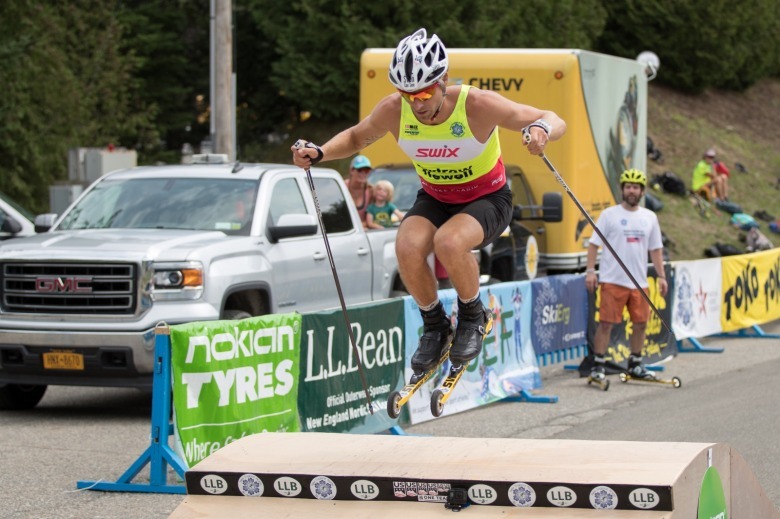 It was a day filled with excitement because in addition to our TT there was a ski jumping competition going on, spectators, an obstacle course hosted by NENSA, and 100 meter drag races where I was to square off with Norwegian Ludvig Jensen! In my opinion nothing could overshadow what I saw from the campers during the sprint TT. The kids showed a level to fitness, grit, and professionalism well above their age during that workout. The LP roller-ski track is fast and narrow to say the least but guys and girls alike we sending it at a new level. Yes we lost a little skin, had a few tumbles, and maybe some broken poles but the kids were making huge gains and pushing each other so well. I jumped in all the heats with the guys and was so impressed at how tight and well fought each sprint heat played out. Just about every heat in the girls field came down to a sprint finish! US juniors used to be well behind the Europeans when it came to going fast close to one another on roller-skis. 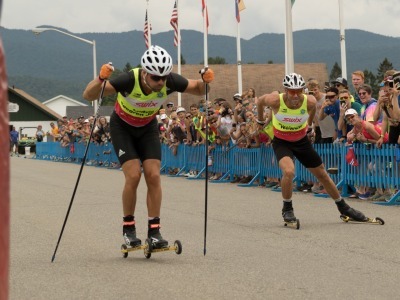 Europeans just tend to do more roller-ski racing than we do. 10 years ago you might have a handful of 15 year olds in the US that would send it full speed around a corner inches behind their competitor. Not the case anymore and it made me so excited to see it! 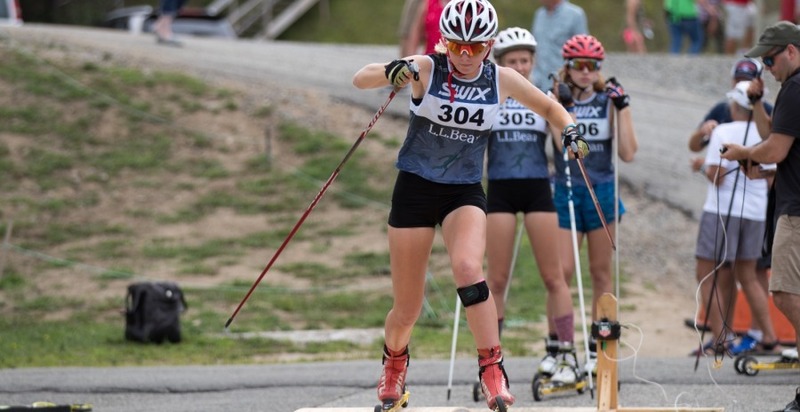 US kids are getting more comfortable on roller-skis and roller-skiing more at a younger age it is beginning to help their development so much. With the two goals of training a lot and learning even more I would say the U16 camp was a huge success for all the athletes and us coaches. Can’t wait for next year.